Cloud computing continues to gain real traction with large organizations. 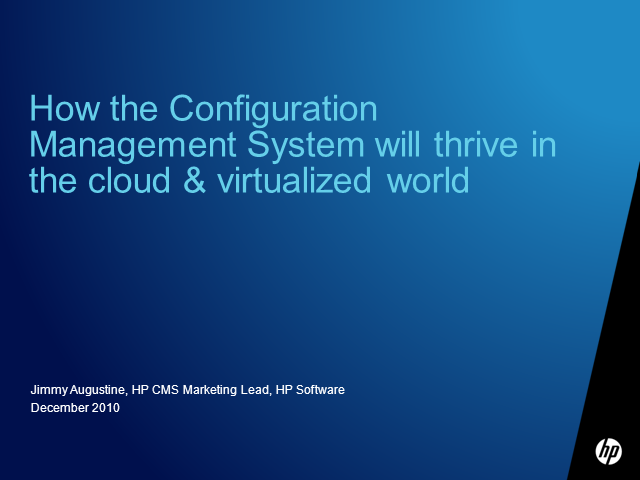 What role does the Configuration Management System (CMS) play in this new cloud world and what needs to change for the CMS to support cloud environments? Join us for this informative webcast in which Jimmy Augustine from HP will share answers to these questions.